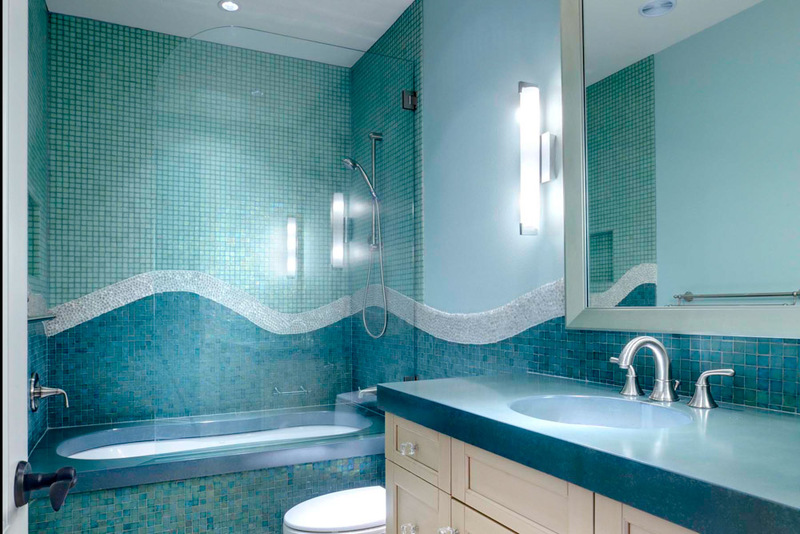 Their daughter’s love of mermaids was inspiration for this bath. The graceful flow of the “wave” is created with clear glass beads. The top and bottom of the wave is flanked by 1”x1” glass tiles using a deeper tone below the wave and a lighter shade above. Beautiful concrete tub surround and countertop finish the aesthetic of the Mermaid Bath.